Life is but a dream… and we realize that, because the owner of adpro is a Boat Freak! With that said, his passion runs strong into of all of our marine projects. Weather it is some nice lettering on a transom or a full boat wrap we have the skills and know-how to make your “dreamboat a reality”! Your place or ours! On land, or even when it is in the water, we can Get your project done. 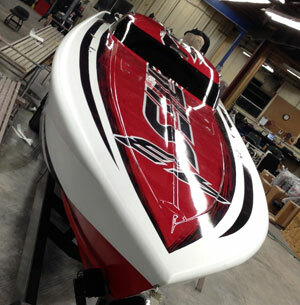 Don’t get the Cheesy cut vinyl letters at some boat show or online just because of a cheap price. Get your boat done professionally. Give it the dignity it deserves. If you compare it to a few tanks of fuel that you will burn off… unlike those costs your lettering is permanent & deserves at least that kind of budget. And remember… it is for the “life” of the boat.